SCtoC is pleased to present an addition to our College Football Coverage for the 2017 season. In this one, it's America's game as the Army Black Knights battle the Navy Midshipmen in an annual traditional battle of United States military academies. This is as patriotic as it gets. The Black Knights represent United States Military Academy in West Point, New York, while the Midshipmen represent the United States Naval Academy in Annapolis, Maryland. Ultimately, both teams represent the United States military, and the country itself. Other than major bragging rights, the tradition of this game is when each team sings its anthem to the crowd. The winner has the honor of singing second. The capsule for the game appears below. We will follow the battle from the kickoff to the final horn. Game times are specified within the capsule. What: Army and Navy face off in the 118th meeting between the academies. When: Saturday, December 9 at 3ET/12PT. Where: Lincoln Financial Field; Philadelphia, Pennsylvania (neutral site). Radio (click link to stream): Army. Navy. Army Record: 8-3 overall, 6-0 home, 2-3 away (FBS Independent). Navy Records: 6-5 overall, 4-1 home, 2-4 away (4-4 AAC-West). Previous: Army lost to North Texas 52-49. Navy lost to Houston 24-14. Last Season: Army def Navy 21-17. Overall Series Record: Navy leads 60-20-7. Head Coaches: Army - Jeff Monken 60-42 (22-26 w/Army). Navy - Ken Niumatalolo 83-47 (83-47 w/Navy). Army Leaders: Passing - Ahmad Bradshaw 12/39, 259 yds, 1 TD, 2 int. Rushing - Ahmad Bradshaw 189 rush, 1,472 yds, 11 TD. Receiving - Kell Walker 5 rec, 111 yds. Navy Leaders: Passing - Zach Abey 30/70, 803 yds, 7 TD, 7 int. Rushing - Zach Abey 278 rush, 1,322 yds, 14 TD. Tyler Carmona - 14 rec, 381 yds, 4 TD. The Army-Navy Game from Franklin Field in Philadelphia in 1908. Game Notes: The first meeting between the academies was held on Nov., 29, 1890, ending the In a 24-0 win for Navy (Army responded with a 32-16 win in the second incarnation of the game in 1891. Ironically, only six games total have been played at the home field of the academies, and not a single one since 1943 when the game was held at West Point (the 1942 game had been held at Annapolis). Other than that, it was just the first four contests. The teams have meet yearly since 1930. Most games have been held in the Northeast, including in the states of Pennsylvania, New York, Maryland and New Jersey. Philadelphia has led with 86 of the meetings, will host this game, and is slated as the site of the Army-Navy game through the 2020 season. The game will be in New Jersey the following year, and then back in Philadelphia for 2022. It has yet to be awarded for 2013 and beyond. 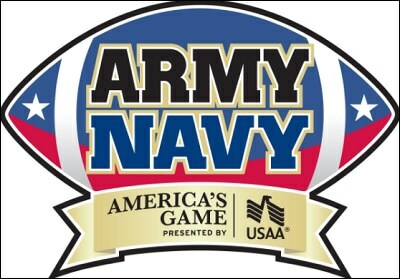 In 1921, Army and Navy tied 21-21 in the games lone trip to Chicago, Illinois, and Navy won the 1983 match up by a 42-13 margin when the game was held at the Rose Bowl in Pasadena, California. Army is 38-44-4 against Navy when the game has been held Philadelphia because the city has historical significance in the U.S., and because it is approximately the same distance from each academy geographically. Prior to Army's win a year ago, Navy had won 14 straight. The series has seen several streaks, though no others have extended to that point. The game has been televised on major network television each year since 1945. The 1963 game featured the first American instance of instant replay. Army head coach Jeff Monken was Navy's special teams coordinator from 2006 to 2007. Prior to becoming Navy's head coach, Ken Niumatalolo served two stints as an assistant coach for the academy from 1995 to 1998 and from 2002 to 2007. Both teams are college bowl bound this season, with Army facing off against the San Diego St. Aztecs in the Lockheed-Martin Armed Forces Bowl on Dec. 23, and Navy battling the Virginia Cavaliers in the Military Bowl Presented by Northrop Grumman on Dec. 28. I love this game. It's so patriotic and such an institution. I'll be watching. It's a snow game. Should be fun! The Army and Navy Glee Clubs always do an amazing rendition of the National Anthem. The Black Knights have the ball first. Touchdown Black Knights. Darnell Woolfolk 3 yard run. Blake Wilson kick. Army stuffs Navy on 3rd and 1. I bet Navy goes for it on 4th and 1. Navy has a couple of kickers on its roster, one is Owen White, a sophomore from Portland. We'll see if he has the kicking duties today. FG Navy. 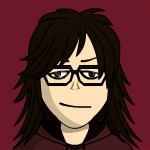 Bennett Moehring. 26 yards. Moehring kicked off, so I had thought White might be the placekicker. I guess not.